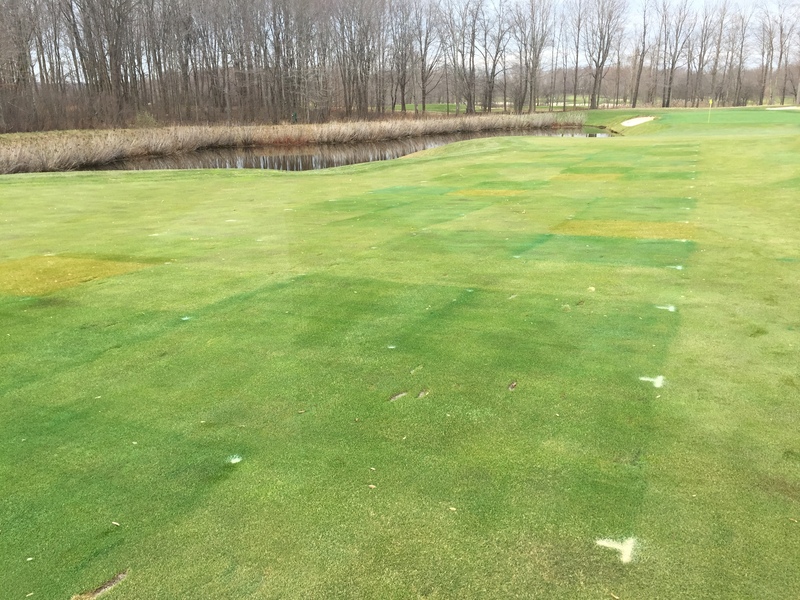 Snow Mold Field day – date is set! 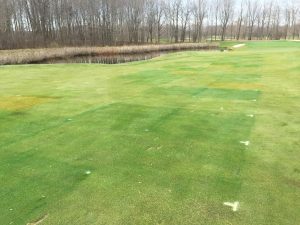 For those of you who were waiting with bated breadth (I know – nobody was) – the date has been set for the second annual OSU ATI Snowmold research field day – Thursday April 5th! The site is once again Sand Ridge CC with the event being hosted in the clubhouse this time. Registration / Coffee & Donuts will open at 8am with the first talk and plot tour beginning at 9am – bring boots! Dr Gardner and Dr Raudenbush are also involved with herbicide and sprayer insights to round out the day which will then be followed by lunch. ODA and GCSAA credits will be available. 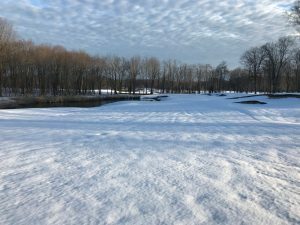 Trial plots March 19 2018 – they are there somewhere!